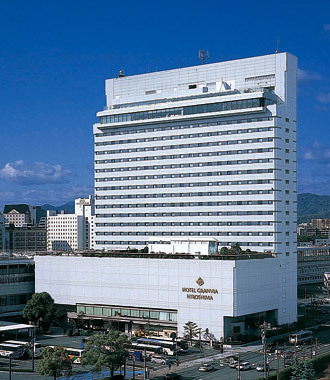 Located in the center of Hiroshima city, ANA Crowne Plaza Hotel Hiroshima faces Heiwa Odori and is close to the business district, downtown, and Heiwa-koen (Peace Park). 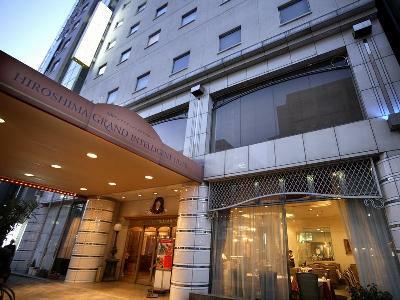 Hiroshima Grand Intelligent Hotel offers excellent services at an affordable price. 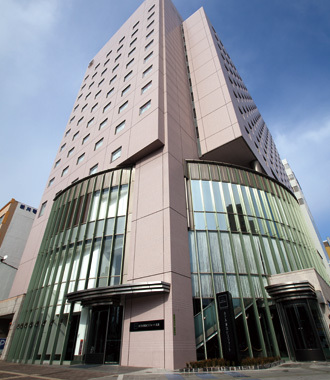 The hotel is located only a short walk from JR Hiroshima Station making it convenient for business and lesiure guests. Oriental Hotel Hiroshima is an urban and stylish high-rise hotel designed by world famous Japanese interior designer Mr. Shigeru Uchida. 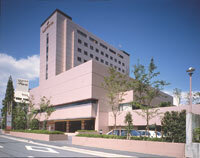 The hotel is located on Heiwa O-Dori Street, the main street of Hiroshima. 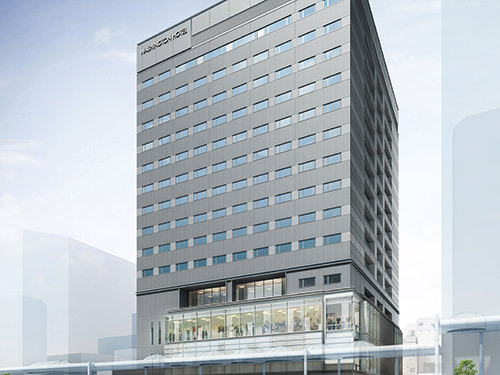 Hotel Granvia Hiroshima is directly linked to the JR Sanyo Shinkansen, Hiroshima Station and easy access to both entertainment and business districts. This 22 story white building is desigaround the theme of nature. 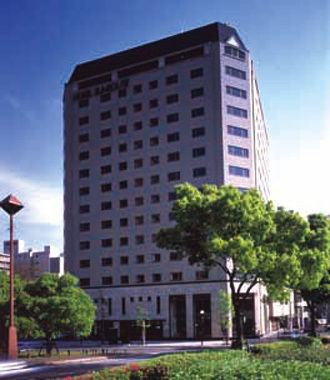 Rihga Royal Hotel Hiroshima is located at the intersection of the business, entertainment, culture and green areas of the city. 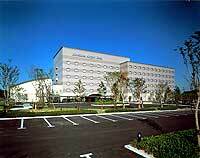 The hotel is equipped with the largest scale convention facility in the Chugoku and Shikoku region. 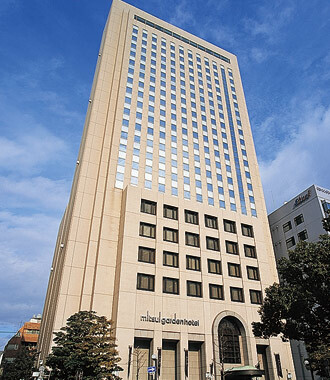 The Mitsui Garden Hotel Hiroshima is located on Heiwa Dori Street in Hiroshima City, 7 minutes by taxi from JR Hiroshima Station and 3 minutes walk from Streetcar Fukuromachi stop. The views from the top floor (25th) is fantastic. 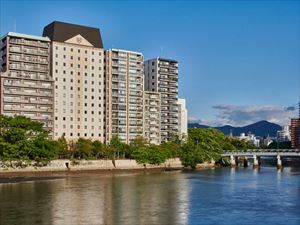 Hotel Hokke Club Hiroshima is located in the business district between Kamiyacho, the center of Hiroshima, and Heiwa Street. Hotel has a large communal bath separated for men and women, a restaurant and a pub. 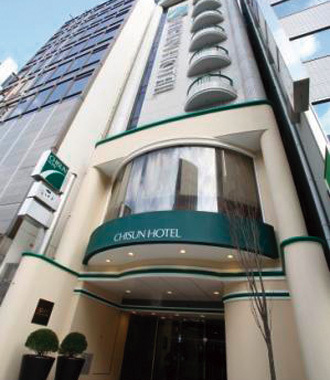 Chisun Hotel Hiroshima is located only 3 minutes walk to Nagarekawadori, Hiroshima's central shopping district, and convenient for business and sightseeing. All rooms are equipped with LCD televisions, shower toilet and LAN connection. 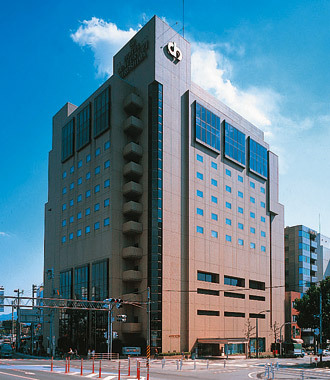 Hotel Sunroute Hiroshima is located on Heiwa Odori Street overlooking Motoyasu River and Peace Memorial Park. On the 15th floor at the Japanese and Western restaurant, please enjoy your meal with beautiful scenery of Hiroshima in the distance. 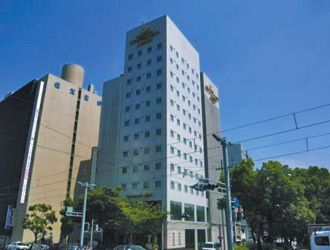 Hotel Century 21 Hiroshima is located only 3 minutes from JR Hiroshima Station. It is also only a 10 minute walk to the city center and very convenient for business and sightseeing. It is also easy for traveling to Miyajima by Japan Railway. Hiroshima Garden Palace is located only 5 minutes walk from JR Hiroshima Station, Shinkansen-guchi exit and very convenient for both business and sightseeing. The waterfall shown from the lobby will immediately relax guests upon arrival. 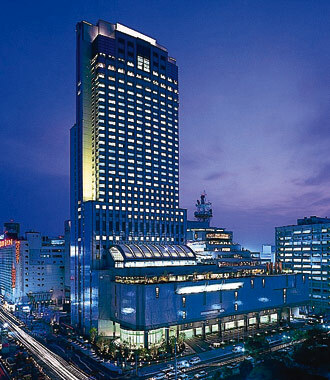 Hiroshima Tokyu REI Hotel is located in the center of Hiroshima and very convenient for business, sightseeing and shopping. The hotel offers high quality guest rooms with an extensive range of amenities and facilities. 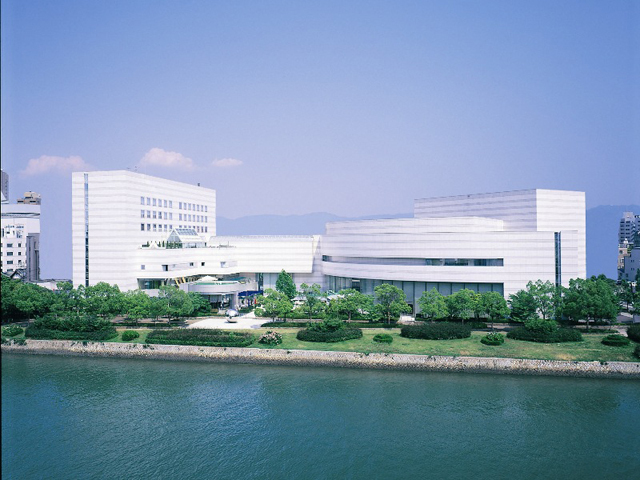 Located in a beautiful area blessed with water, the Royal Park Hotel Hiroshima Riverside is perfect to enjoy functional room and refined facilities with all the comforts. The hotel offers free breakfast buffet, large communal baths and free parking (for 103 cars, on a first-come-first-served basis). All rooms are equipped with free Wi-Fi and humidifying air purifiers. Very convenient for business and sightseeing. 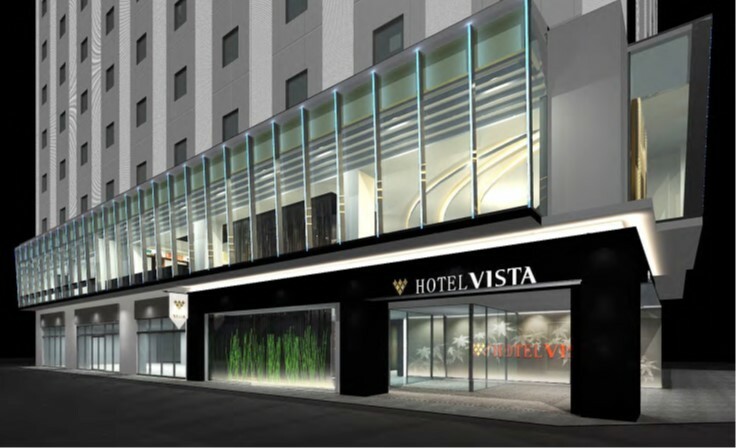 HOTEL Vista Hiroshima is located right in the heart of the city making it within easy reach of all the major attractions in central Hiroshima. The lavatories, bathrooms and wash basins are separate in every room. 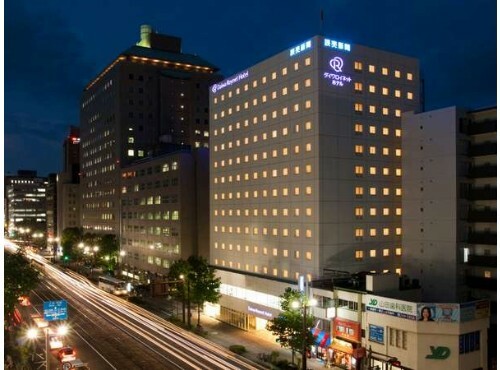 Hiroshima Washington Hotel is just 3 minutes on foot from the busy Hatchobori intersection in the city. The hotel is a perfect base for business and visiting local attractions like the Atomic Bomb Dome and Miyajima's Itsukushima shrine. 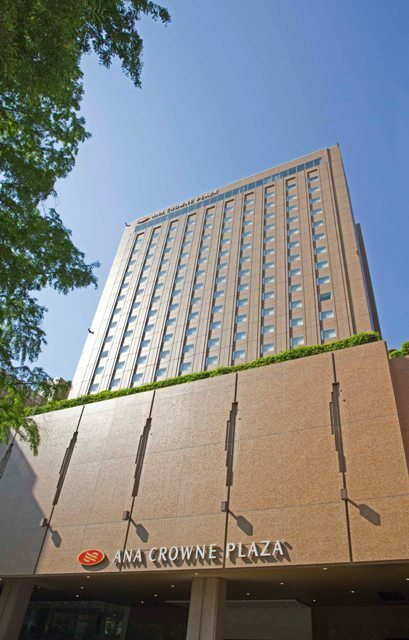 Court Hotel Hiroshima is located in Kanayama-cho in the heart of Hiroshima, and adjacent to the best shopping districts, Nagarekawa and Yagenbori. It is 5 minutes by taxi from JR Hiroshima Station. 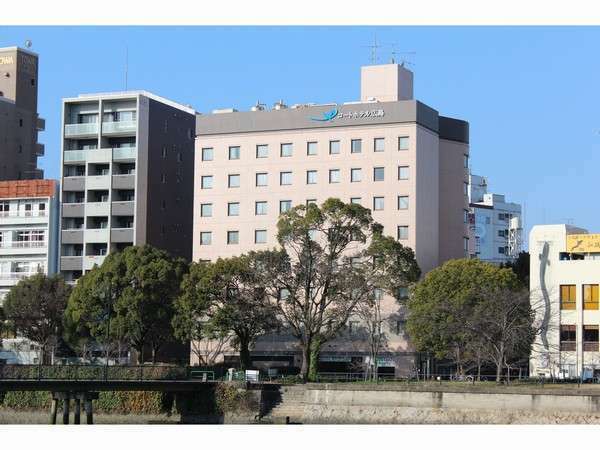 Hiroshima Intelligent Hotel Annex is only 7 minutes walk from JR Hiroshima Station and convenient location along the Kyobashi River and Densha-Dori road. The lobby has a classical European atmosphere with fine art furniture. 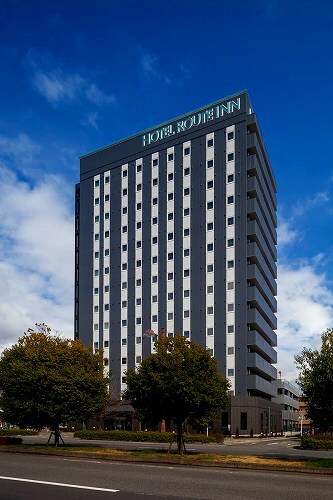 Hiroshima Kokusai Hotel is located in the center of Hiroshima City and convenient for sightseeing and business. The hotel possesses the only revolving restaurant in the city with breathtaking views of Hiroshima. Dormy Inn Hiroshima faces the main street leading to the Hiroshima Peace Memorial Museum. The hotel is equipped with a large communal bath for men and women, a men's sauna and women's mist sauna. Grand Prince Hotel Hiroshima is located beside Motoujina Park and commands views of the picturesque islands dotted in the Seto Inland Sea. 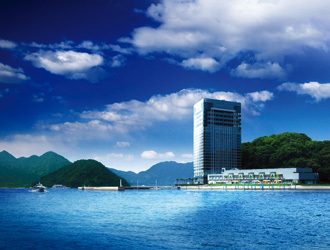 The 23 floor hotel boasts magnificent views of Hiroshima Port and Miyajima Island. Hiroshimashi Bunka Koryu Kaikan is adjacent to the concert hall and located just 5 minutes walk from Peace Memorial Park. The peaceful surroundings with the tree-lined river offers guests a relaxing stay. Hotel Via Inn Hiroshima is a casual budget hotel located just west of the South Exit of JR Hiroshima Station. With great access to the city's train and bus networks, leisure and business guests are well catered for. 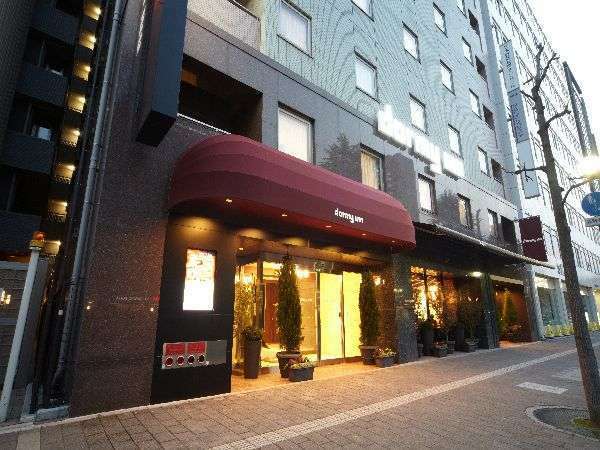 Daiwa Roynet Hotel Hiroshima is located in the heart of Hiroshima City and ideal for both business and sightseeing. 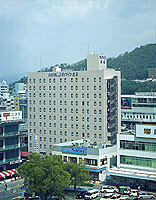 The hotel is equipped with humidifying function air cleaner, writing desk and trouser press. 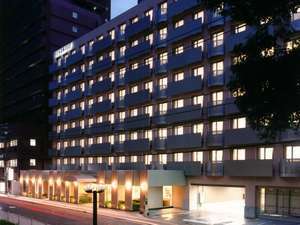 Hiroshima Airport Hotel is within 5 minutes walk to the airport. The hotel is also close by to a lovely garden if you require time for quiet reflection.